On Friday, Gateway Fighting Series held its first of several professional boxing events at the Heart of St. Charles Ballroom. 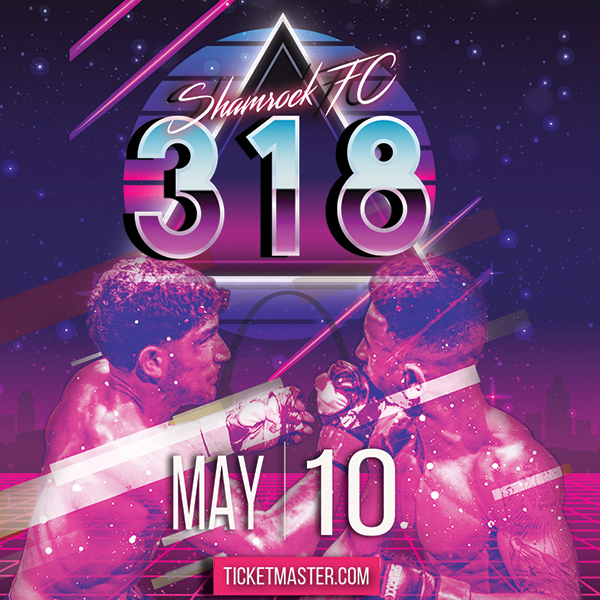 Topping the fight card was an eight round bout between Stephon "Show Stopper" Young of St. Louis and Antwan Robertson of Chicago, Illinois. "Show Stopper" lived up to his moniker bringing the final fight of the night to a stop at 1:06 in the first round, winning by TKO. I had a chance to speak with Mr. Young after the fight, asking him about the fight and if his bout with Robertson went how he thought it would. "Yeah, that's how I planned it." Young said. "I planned to land a couple body shots then go to the head and take him out of there." Young landed a combination on Robertson early then kept pressure on him, following his strikes with footwork and power, dropping Robertson to the mat and ending the fight in spectacular fashion. Young continues to be one of the most exciting boxers in the Midwest. The co-main event featured a four round heavyweight bout between Stephan "Big Show" Shaw and Kris Renty. Shaw came in hard in the first round dominating the ring, creating openings and landing heavy precision strikes over and over dropping Renty several times. The fight ended at 2:29 of round one. Shaw advances to a 9-0 record. Vaughn "The Animal" Alexander defeated Luis Pena by TKO at 2:38 of round two. Alexander started out slow, heavy and calculating, while Pena stayed light on his feet, fast and mobile. Pena's strikes did not seem to faze his opponent while Alexander's strikes repeatedly rocked Pena dropping him to the mat, against the ropes several times in rounds one and two eventually stopping the fight via TKO. Alexander, the younger brother of Devon Alexander the former unified WBC and IBF champ, improves his undefeated record to 9-0, and looks to have serious promise. Jarvis Williams defeated Luke Nelson by unanimous decision. Williams and Nelson went back and forth for four rounds of explosive exchanges, both fighters getting hit hard and often, but with Williams coming out on top of more exchanges than Nelson. Williams opened several heated exchanges with hard left hooks while Nelson ferociously counter-punched and clinched. The judges scored the fight 40-36, 39-37, 40-36 in favor of Williams. Williams advances to a 7-0 undefeated record. Jordan "Big" Maxey defeated Galen Livingston by KO at 2:20 of round two. Maxey dominated the ring with big hits on Livingston. Livingston responded with footwork and strikes in round two but never connected. After finding himself in the corner of the ring, Livingston was hit hard through the ropes onto the table in front of Bo Kunz who was calling the fight. Ron "Smoke" Carter defeated Matt Murphy via unanimous decision. Carter's footwork and ability to change levels and move around the ring kept Murphy adapting and getting hit. When Murphy sunk down hard into his stance, Carter went light and mobile, when Murphy went light on his feet and mobile, Carter closed the distance with combinations. All judges scored the fight 40-36 in favor of Carter. Carter advances to a 7-2 record. Kevin Ford defeated Thomas Jacks Jr. via KO at 1:10 of round one. Jacks looked determined to make the fight his, but Ford was unrelenting in his pressure and power and once Jacks took a couple of early hard hits he never recovered his poise. Ford advances to a 2-0 undefeated record. Tyger Banks defeated Ken Porter via split decision in a close technical bout. The judges scored the fight 39-37, 37-39, 37-39 in favor of Banks. A fight scheduled between Butch Gragg and Vincent Hadley was scratched shortly before the first bell. 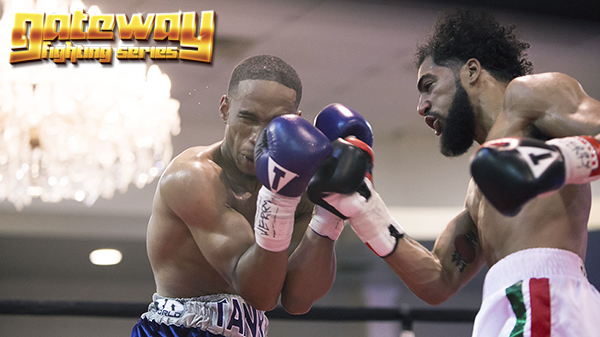 Charles "Energy" Johnson and Tyjuan Townsend fought to a draw in the most evenly scored match of the night. All judges scored the fight 38-38. Scott "The General" Futrell defeated Otis Brown via split decision. In one of the bloodiest fights of the night Futrell hit Brown in the mouth and nose hard with long, hard repeated jabs. Brown, however, never lost focus and kept solid ring control, returning strikes on Futrell when the distance closed. Futrell's jabs, though, were like Lays potato chips, Brown couldn't eat just one and ended up finishing a whole bag. The judges scored the bout 40-38, 39-36, 40-36 in favor of Futrell. Jared Daniels-Block arranged the stacked card. Tim Francis, Rob Francis and Travis Buesking judged the fights. Peter Vaccalo served as the ring announcer. Marc Wasem and Keith Bell refereed the fights. The room was sold out. The crowed was electric. The event was professional. It was truly an exciting night of fights and a spectacular debut for the Gateway Fighting Series professional boxing event. Gateway Fighting Series will hold its next professional boxing event on June 23rd.